When Aston Martin unveiled the Cygnet, a rebadged Toyota/Scion iQ city car in 2011, the majority of gearheads didn't know how to react. The Cygnet was added to Aston Martin's product portfolio so that the company could comply with the 2012 European Union imposed fleet average emissions regulations. Like the Toyota/Scion iQ, the Cygnet was powered by a 1.3-liter inline-four cylinder engine which produced a decent 97 horsepower at 6,000 RPM and 91 pound-feet of torque at 4,400 RPM. 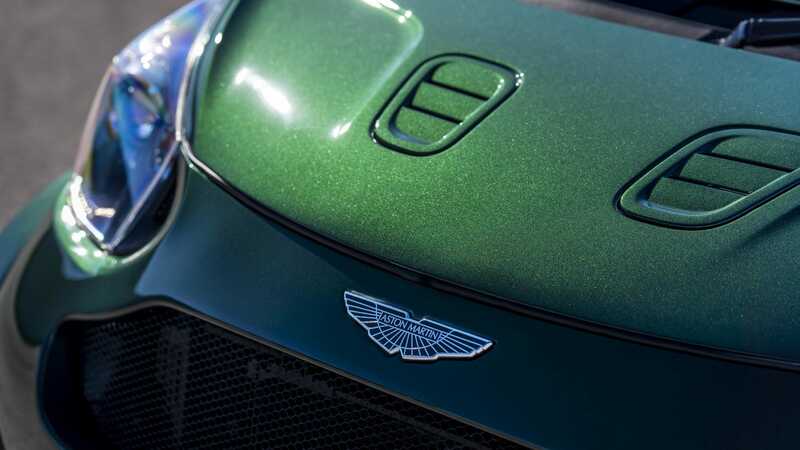 However, after a slow two-year production run during which time Aston Martin only managed to sell 150 units in the U.K. and approximately 300 units worldwide rather than 4,000 units planned annually, the production was discontinued in September 2013. 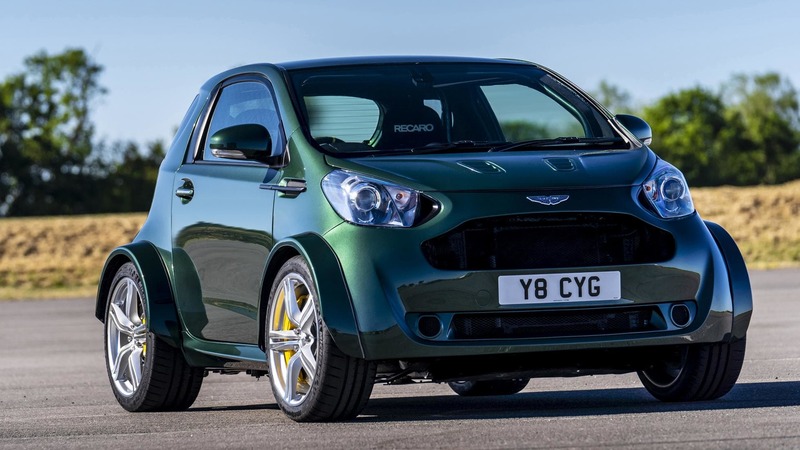 Fast forward five years to the present day, Aston Martin has decided once again to shed some light on the city car at the Goodwood Festival of Speed this weekend with a V-8-powered Cygnet, which was made by the company's bespoke Q division. 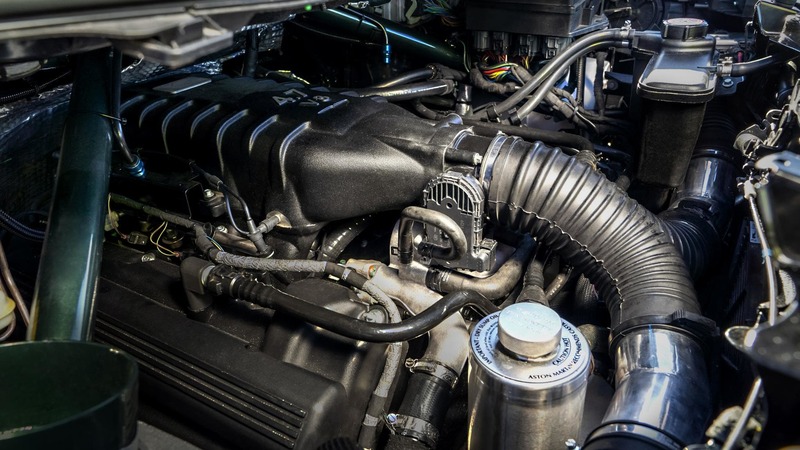 Unlike the original Cygnet, this one-off variant will replace the underpowered 1.3-liter four-cylinder motor with a 4.7-liter naturally-aspirated V-8 which produces a much healthier 430 horsepower from the previous-generation Vantage S. While the standard Cygnet sent power to the front wheels via either a standard six-speed manual or an optional CVT transmission, this Frankenstein-esque model sends power to the rear wheels with help from a six-speed automated-manual gearbox. Speaking of wheels, this one-off Cygnet gets rid of the tiny 16-inch rims in favor of more aggressive 19-inch units which are wrapped in a set of meaty tires. 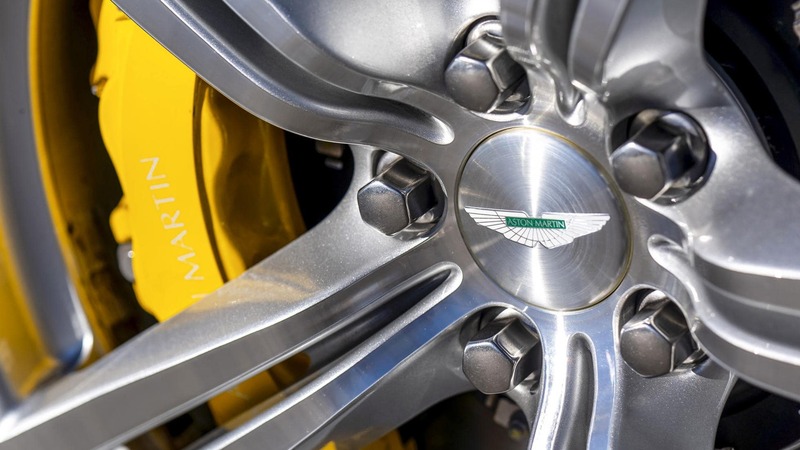 The massive wheels encase an equally massive set of brake rotors and bright yellow calipers. 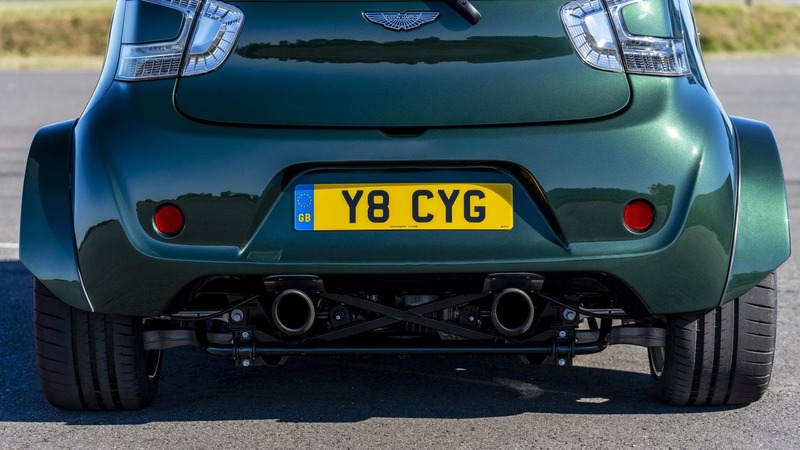 The new wheels extend a lot further than the Cygnet's tiny bodyshell, so Aston Martin had to add carbon-fiber wheel arch extensions in order to make this pocket rocket road legal. The majority of the Cygnet's front end has been redesigned to accommodate the comparatively-huge engine. The front and rear subframes are derived from the same donor Vantage S which supplied the engine. 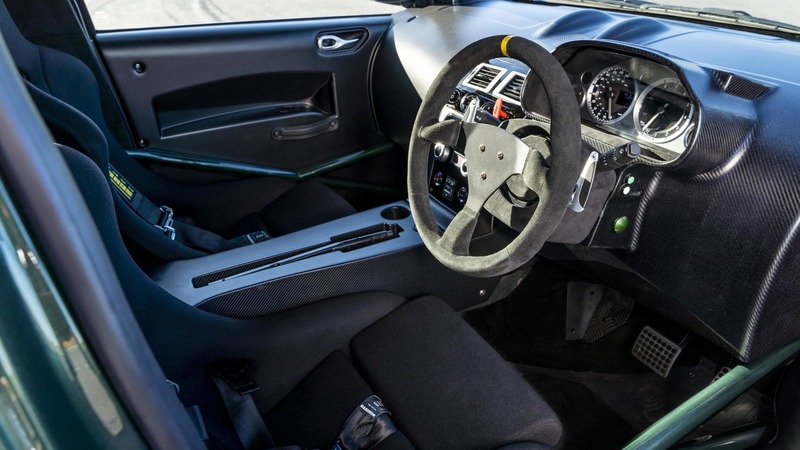 The Cygnet also receives an entirely new front bulkhead, transmission tunnel, and partial interior from the Vantage S, complete with roll cage and bucket seats. At the rear, Aston Martin has fabricated a bespoke exhaust system which sits directly below the fuel tank. Even with this potentially dangerous configuration of the exhaust system and the fuel tank, this one-of-a-kind Cygnet is completely road legal. While the original Cygnet retailed for £30,000 GBP or approximately $40,000 back in 2011, don't expect this one-off concept car to enter production anytime soon.